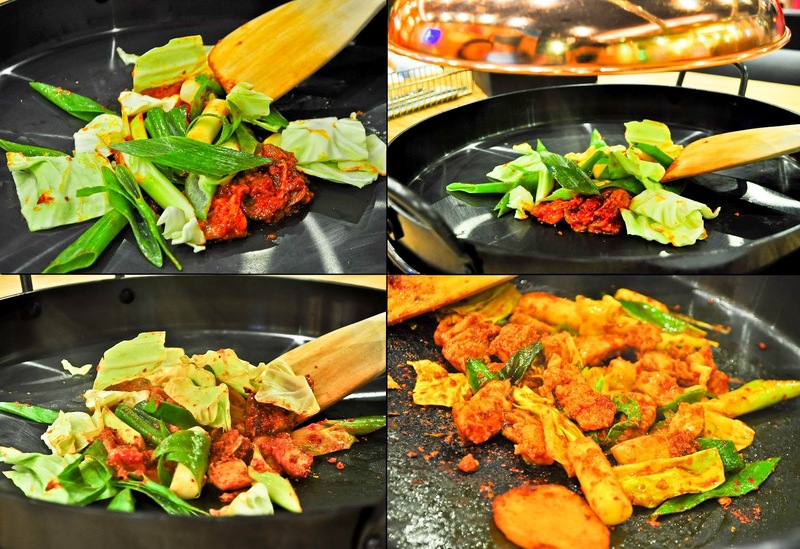 Good news to Korean cuisine fanatics! The famous restaurant chain in Korea that specializes in chicken galbi since 1981 is now in the Philippines. 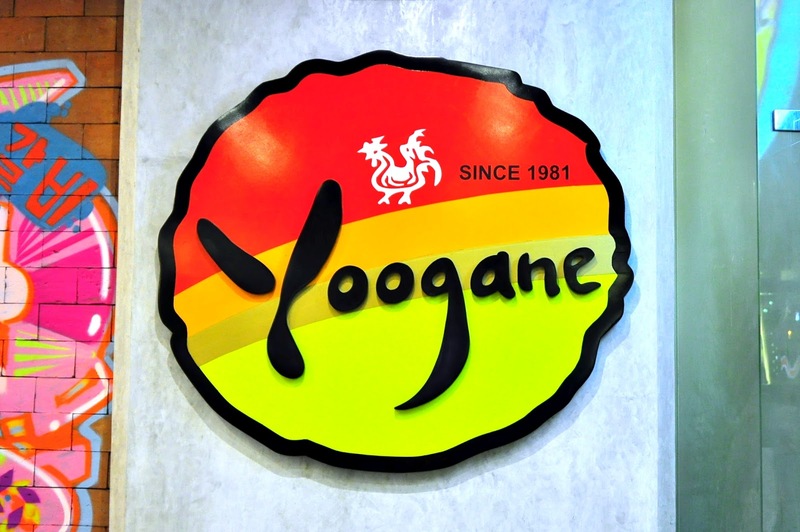 Yoogane Philippines could be found at the ground floor of Il Terrazzo, Tomas Morato. As we enter the spacious establishment, colorful cartoon drawings were painted on the brick walls with several portraits framed and hanged on it, giving a vibrant and happy atmosphere for diners. We were initially served with classic appetizers like kimchi, radish and shredded cabbage in tangy dressing. An order of this would be enough for 1-2 persons unless you get the one with fried rice which could serve more people. The server would be the one to cook the marinated chicken galbi in front of you until it's completely done. There's an exhaust fan above the iron grill to keep the smoke off the area but it didn't quite help in preventing the smell from getting into our clothes. 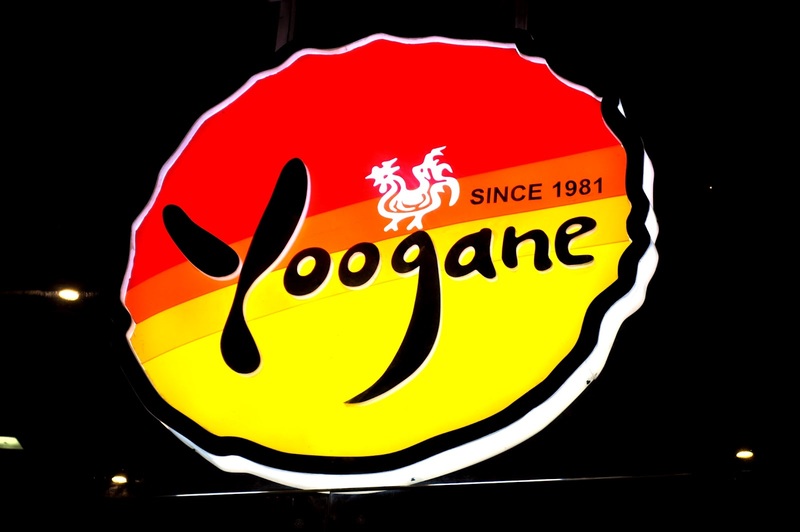 Yoogane's Marintaed Chicken Galbi is basically chunks of chicken fillet marinated in Korean red chili paste. It was mixed with cabbage, leeks, Korean rice cakes (Dokboki), and a slice of sweet potato. This dish was indeed spicy. So for all spicy lovers out there, ordering this is a must. How I wish we had ordered the one with fried rice and an add on of mozzarella cheese (P80) to balance out its spiciness. Nevertheless, we still enjoyed our marinated Dak Galbi. 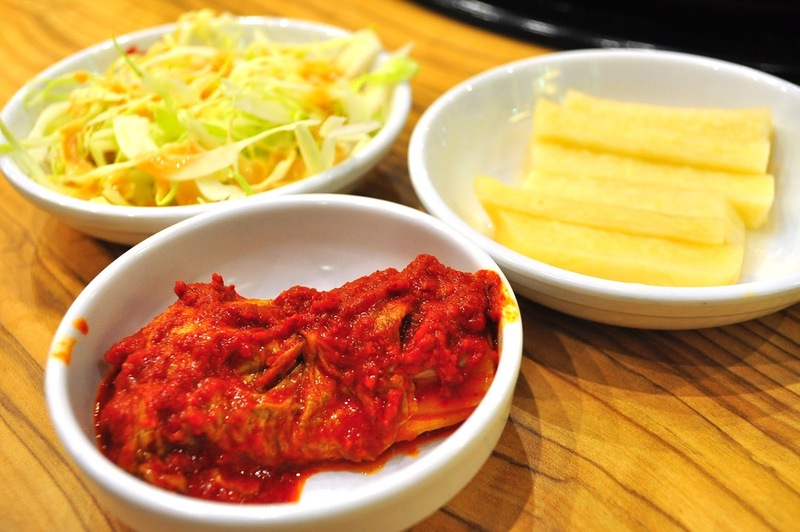 We also ordered for their Beef Bulgogi which is a highly recommended dish especially for those who are not used to spicy dishes. The Beef Bulgogi was sweet and savory mixed with leeks and onions. Visible amount of fats are included with the beef to make this dish even more flavorful and juicy. Our favorite dish for the night was this smooth and silky glass noodles called Chap Chae. 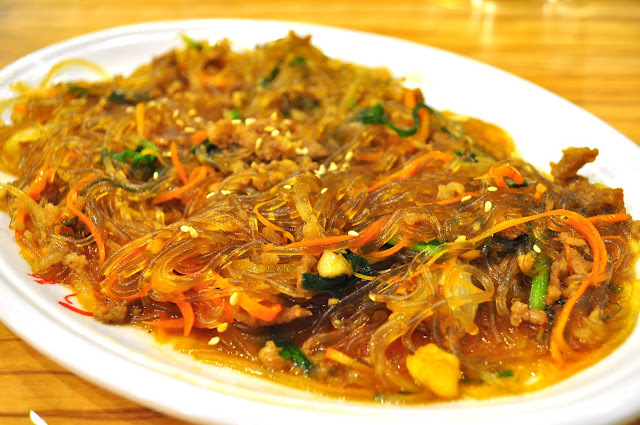 It was mixed with carrots, mushrooms, leeks and few bits of meat, adding colors and texture to the sweet plate of Korean vermicelli. 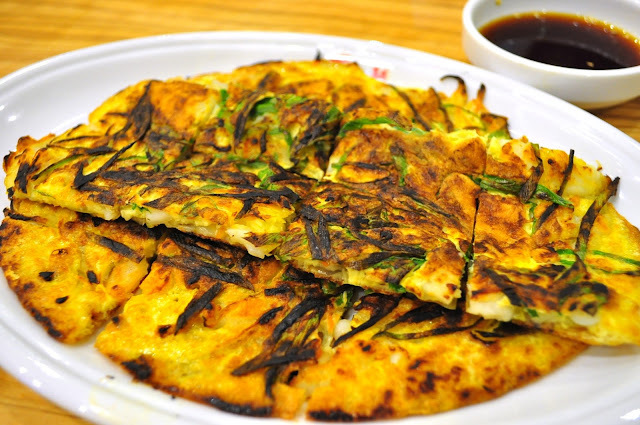 The only dish that didn't impress us during our visit was this version of the heamul pajeon or Korean Style Seafood Pancake. 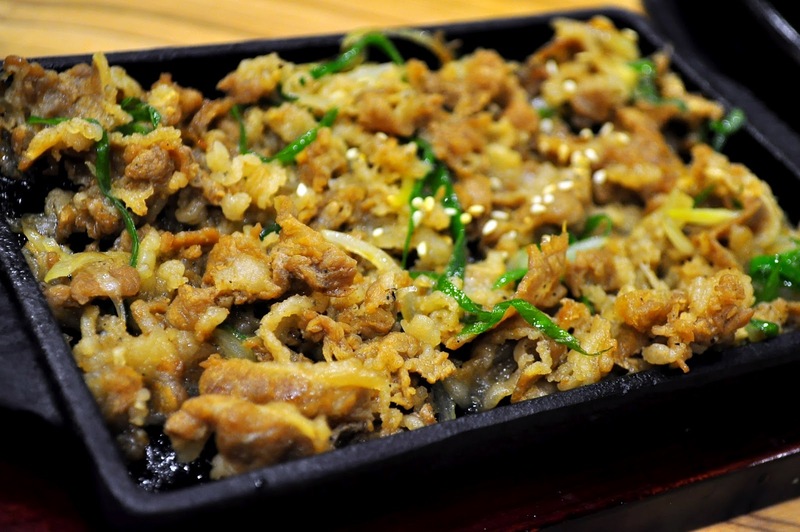 It has few bits of shrimp and squid pieces with strips of green onions that already got a slightly burnt taste. The pancake was like a thin layer of scrambled egg that seems to be more like an omelette than a pancake for me. I don't know if it was really supposed to be like that but I must say that I've had better ones before. 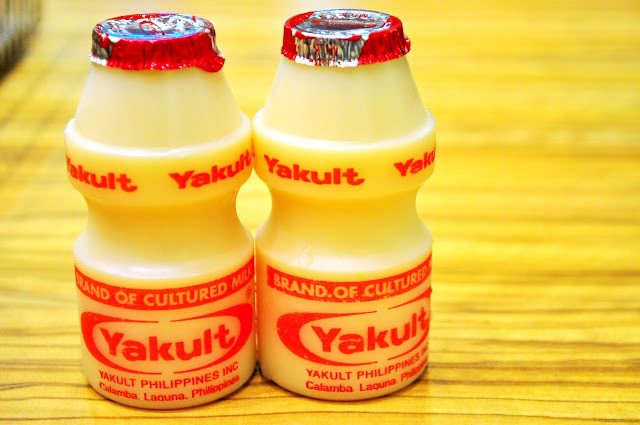 After finishing up everything that we've ordered, complimentary bottles of Yakult were given as a sweet and refreshing meal ender. 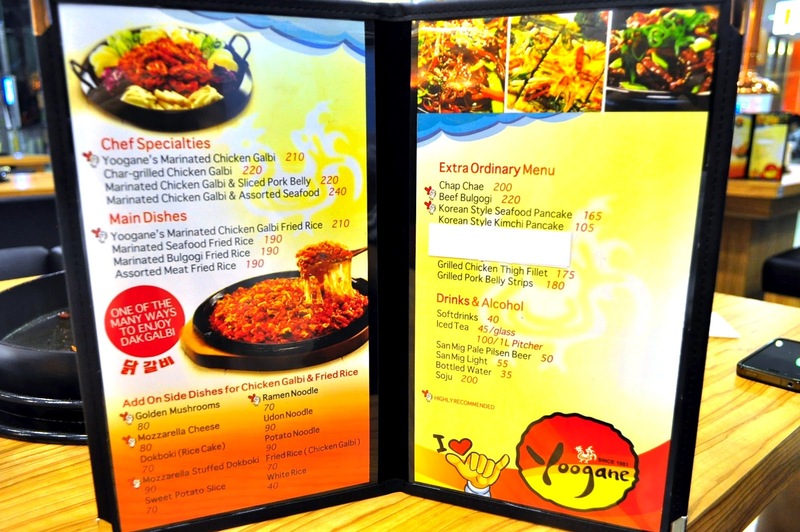 Nice Korean foods and it's now in the Philippines. Did you went on the opening day? I was there too! You have just given me the perfect idea where to bring my family this weekend! Thank you for this post! Yakult as the finisher is just right I think, after the scorching hotness from those nice looking Kim chis. This is my first time to hear about seafood pancake - it looks interesting. i'd love to try it. i didn't get to try this in seoul during our trip. i love korean as well as their dishes, i wish i can go to korea (south and north) someday and maybe dine with my fave K actors wearing their traditional hanbok, oh how i wish. I admit I'm not into Korean food (just Koreanovela...hehehe), but my husband would surely love this place because he loves Kimchi (which I hate!). may ongoing promo si yoogane, pag nag dine-in ka and nag total ng 750 ang bill mo you will have a 5 day free pass to 360 fitness club. 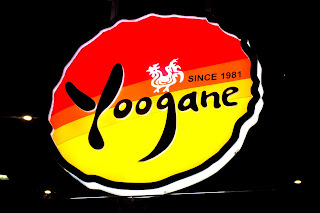 visited yoogane last weekend and saw a lot of new dishes in their menu. one of the high lights that make me decide to have my lunch there is they have bibimbap already.